If you're starting out, it's a no brainer--use The Chimp. It's easy, it's free (for the basic service and a modest number of subscribers) and no platform has as nice of template builder as MailChimp. I could code a template from scratch, but I actually now prefer to use the template builder so that client can duplicate the template and tinker with it on their own as their needs change. It's just that slick. I use the premium version of MailChimp and it's definitely worth the money to me (I've been in business a long time in the design and strategy world and one of the lessons I wished I'd learned earlier was the value in spending money on pro products and services). The automations in particular are great. For example, I use MailChimp in my Design in a Day collaboration. Once a client signs up to have their website designed and launched in a single day, I add them to a list. MailChimp then sends them an automated email explaining all the processes and providing all kinds of links and resources they need to access to make sure their website launches smoothly. When they're finished, I move them into my client list and they'll receive updates that are relevant to them. I don't really have to do anything except assign that client to that initial list. MailChimp moves their through the process. I do think that MailChimp could become a challenge if you were to run complex email courses, or similar marketing endeavors, however. MailChimp counts subscribers on a per-list basis and gets rather unwieldy to deal with when people belong to multiple lists. It's a bit frustrating (and something I'm working through over here at the moment). That's when a platform like ConvertKit is worth a look. ConvertKit is pushed HARD in the female entrepreneur blog community (it has a robust affiliate program, to which I belong, but don't push--so keep that in mind when you see someone pushing ConvertKit) and there are some good reasons for this. CK has a great setup in terms of how they count subscribers. They count per address, not per list, per address, like is typical among most other email marketing providers. If you have a large list, and people who belong to multiple lists, this can be a huge bonus, to say the list. What I really like ConvertKit for is email courses (or similar). You can create very robust sequences--and the cool thing is that they have very useful email sequences baked in. So, if you're not confident in creating a sequence, they have great tools in place to make you look like a pro. When I did a trial of CK (a client was interested in it for one of his marketing efforts), I was super impressed with this feature. I also LOVED their landing pages, which can be great for folks who need these sorts of high-conversion landing pages for, say, launching an online class or webinar. This can also be a bonus if you're not ready to invest in a landing-page specific platform or if you don't want to build conversion-focused landing pages on your own website. A few things really bother me about ConvertKit, however. I really don't like that there's no free trial. In 2017, all software as service programs should let you demo the program before forking over your credit card number. And, there's not a way to automate the refund. You have to email someone to ask for the refund. It's a little thing, but it feels a bit sketchy. If they were to implement a 14 day trial and automate refunds, I'd feel much more comfortable with the platform. Another thing to keep in mind: ConvertKit's whole philosophy is that text-based emails are better (something I agree with, for the most part), so if you're an online store and you need lots of imagery to create a dynamic email, ConvertKit isn't the right solution for you. I found setting up my own email template (just a logo and two calls to action in the footer--super simple) fairly tedious and time-consuming, when compared with The Chimp. My other concern is that ConvertKit does lend itself to a style of marketing I don't recommend: the super-pushy urgency model that's popular among a certain variety of online entrepreneur. Philosophically-speaking, I try to keep my marketing un-pushy and tasteful. I don't think it's inherent in ConvertKit's platform, but I can see the setup leading to a slippery slope where you could easily be engaged in email marketing that doesn't fit your business values. Say you need something even more robust? That's where you might want to look at a "super premium" (Hey! I just made up a term!) solution like ActiveCampaign. My client wildernessFusion is deeply invested in the ActiveCampaign architecture, and I have to say--this was my first experience with it--it's an impressive platform for the serious email marketer. If you're doing a lot of email marketing and it's bringing in meaningful revenue, a platform like ActiveCampaign may be the logical next step. 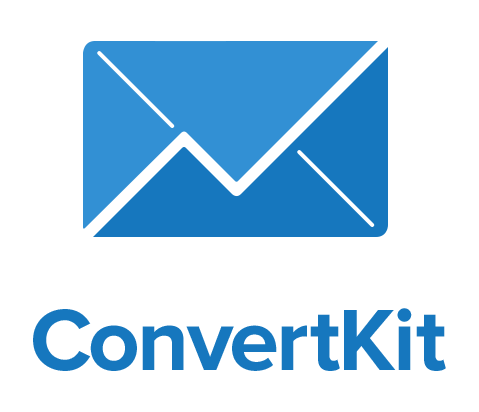 ActiveCampaign lets you create very complex automations based on your recipients' interactions with your email marketing content. It's, well, impressive. Customers at the highest level of subscription to active campaign get a lot of perks--including an account manager, and my experience with them as been impressive, to say the least. Is an advanced platform like ActiveCampaign right for you? Well, for the vast majority of my clients, I can say absolutely not. However, for some folks it is--and the time may come where it's right for you. If you're running a business with audiences who progress through multiple phases of their relationship with you, AC could be a real savior and help you track their interactions and leverage those in different ways. You can even have different content displayed in the same email message, depending on what they've done in the past. Keep in mind, however, that like with ConvertKit, you're looking at duct-taping your connection to your Squarespace website to ActiveCampaign. So, you're going to end up needing to using a series of Google Docs and Zapier integrations or ActiveCampaign's forms, which aren't particularly pretty. I realize that this is probably more than you ever needed to know about email marketing systems, but I'm always learning myself with regard to these platforms.